Finance for $960 per month at 3.9% APR for 54 months with $5,429 down payment. Payment expires on 04/30/19. 1These Cadillacs have between 2500 and 6600 miles and qualify for all of the incentives currently offered by Cadillac. 2Not available with special finance or lease offers. See dealer for details. Finance for $955 per month at 3.9% APR for 54 months with $5,960 down payment. Payment expires on 04/30/19. Estimated Finance payment based upon 3.9% APR for 54 months, with a down payment of $5,960. Excludes title, taxes, registration, and license fees. Some customers will not qualify. See your authorized dealer for complete details on this and other offers. Residency restrictions may apply. 1These Cadillacs have between 2500 and 6600 miles and qualify for all of the incentives currently offered by Cadillac. 2Not available with special finance or lease offers. See dealer for details. 3Must finance through GM Financial. Some customers may not qualify. Not available with some other offers. See dealer for details. 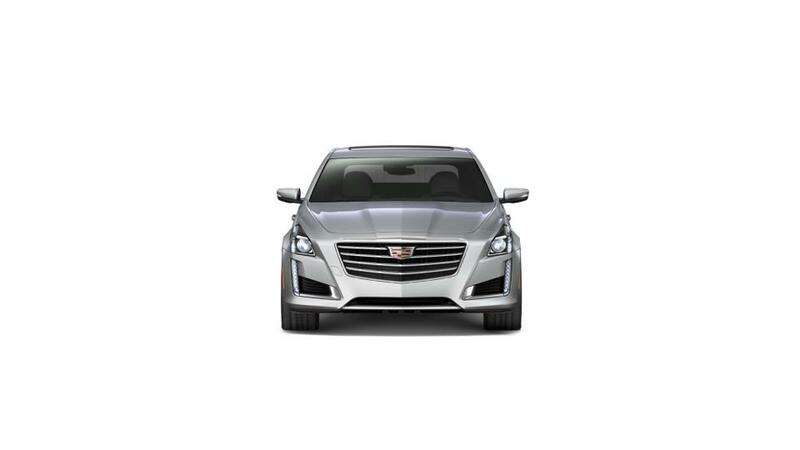 1These Cadillacs have between 2500 and 6600 miles and qualify for all of the incentives currently offered by Cadillac. Finance for $964 per month at 3.9% APR for 54 months with $5,760 down payment. Payment expires on 04/30/19. Estimated Finance payment based upon 3.9% APR for 54 months, with a down payment of $5,760. Excludes title, taxes, registration, and license fees. Some customers will not qualify. See your authorized dealer for complete details on this and other offers. Residency restrictions may apply. Finance for $981 per month at 3.9% APR for 54 months with $5,546 down payment. Payment expires on 04/30/19. Estimated Finance payment based upon 3.9% APR for 54 months, with a down payment of $5,546. Excludes title, taxes, registration, and license fees. Some customers will not qualify. See your authorized dealer for complete details on this and other offers. Residency restrictions may apply. Finance for $952 per month at 3.9% APR for 54 months with $5,692 down payment. Payment expires on 04/30/19. Estimated Finance payment based upon 3.9% APR for 54 months, with a down payment of $5,692. Excludes title, taxes, registration, and license fees. Some customers will not qualify. See your authorized dealer for complete details on this and other offers. Residency restrictions may apply. Finance for $1,009 per month at 3.9% APR for 54 months with $6,007 down payment. Payment expires on 04/30/19. Estimated Finance payment based upon 3.9% APR for 54 months, with a down payment of $6,007. Excludes title, taxes, registration, and license fees. Some customers will not qualify. See your authorized dealer for complete details on this and other offers. Residency restrictions may apply. 1Not available with special finance or lease offers. See dealer for details. 2Not available with special finance or lease offers. See dealer for details. 3See dealer for details. 4Must finance through GM Financial. Some customers may not qualify. Not available with some other offers. See dealer for details. Finance for $961 per month at 3.9% APR for 54 months with $5,739 down payment. Payment expires on 04/30/19. Estimated Finance payment based upon 3.9% APR for 54 months, with a down payment of $5,739. Excludes title, taxes, registration, and license fees. Some customers will not qualify. See your authorized dealer for complete details on this and other offers. Residency restrictions may apply. Finance for $1,043 per month at 3.9% APR for 54 months with $5,885 down payment. Payment expires on 04/30/19. Estimated Finance payment based upon 3.9% APR for 54 months, with a down payment of $5,885. Excludes title, taxes, registration, and license fees. Some customers will not qualify. See your authorized dealer for complete details on this and other offers. Residency restrictions may apply. Finance for $1,070 per month at 3.9% APR for 54 months with $6,036 down payment. Payment expires on 04/30/19. Estimated Finance payment based upon 3.9% APR for 54 months, with a down payment of $6,036. Excludes title, taxes, registration, and license fees. Some customers will not qualify. See your authorized dealer for complete details on this and other offers. Residency restrictions may apply. Finance for $1,095 per month at 3.9% APR for 54 months with $6,171 down payment. Payment expires on 04/30/19. Estimated Finance payment based upon 3.9% APR for 54 months, with a down payment of $6,171. Excludes title, taxes, registration, and license fees. Some customers will not qualify. See your authorized dealer for complete details on this and other offers. Residency restrictions may apply. Finance for $1,097 per month at 3.9% APR for 54 months with $6,183 down payment. Payment expires on 04/30/19. Estimated Finance payment based upon 3.9% APR for 54 months, with a down payment of $6,183. Excludes title, taxes, registration, and license fees. Some customers will not qualify. See your authorized dealer for complete details on this and other offers. Residency restrictions may apply. Finance for $1,018 per month at 3.9% APR for 54 months with $6,054 down payment. Payment expires on 04/30/19. Estimated Finance payment based upon 3.9% APR for 54 months, with a down payment of $6,054. Excludes title, taxes, registration, and license fees. Some customers will not qualify. See your authorized dealer for complete details on this and other offers. Residency restrictions may apply. Finance for $1,174 per month at 3.9% APR for 54 months with $6,603 down payment. Payment expires on 04/30/19. Estimated Finance payment based upon 3.9% APR for 54 months, with a down payment of $6,603. Excludes title, taxes, registration, and license fees. Some customers will not qualify. See your authorized dealer for complete details on this and other offers. Residency restrictions may apply. Finance for $1,213 per month at 3.9% APR for 54 months with $6,817 down payment. Payment expires on 04/30/19. Estimated Finance payment based upon 3.9% APR for 54 months, with a down payment of $6,817. Excludes title, taxes, registration, and license fees. Some customers will not qualify. See your authorized dealer for complete details on this and other offers. Residency restrictions may apply. Finance for $1,092 per month at 3.9% APR for 54 months with $6,157 down payment. Payment expires on 04/30/19. Estimated Finance payment based upon 3.9% APR for 54 months, with a down payment of $6,157. Excludes title, taxes, registration, and license fees. Some customers will not qualify. See your authorized dealer for complete details on this and other offers. Residency restrictions may apply. Finance for $946 per month at 3.9% APR for 54 months with $5,660 down payment. Payment expires on 04/30/19. Estimated Finance payment based upon 3.9% APR for 54 months, with a down payment of $5,660. Excludes title, taxes, registration, and license fees. Some customers will not qualify. See your authorized dealer for complete details on this and other offers. Residency restrictions may apply.